A match made in heaven. The 6.5 Creedmoor is aptly named for the turn of the century target matches that popularized the Model 1885. The 6.5 Creedmoor has been luaded for it's inherent accuracy and superb ballistic cooefficient, all in a round that is roughly the size of the ubiquitous 308 Winchester. This exceptional long range accuracy has given the 6.5 Creedmoor a sizeable following among North American big game hunters who have achieved some incredible results with the round. Notoriously accurate. Designed by world famous firearms savant, John M. Browning, the single-shot falling block lever action design gained significant popularity among Creedmoor match shooters in the late 1800s. 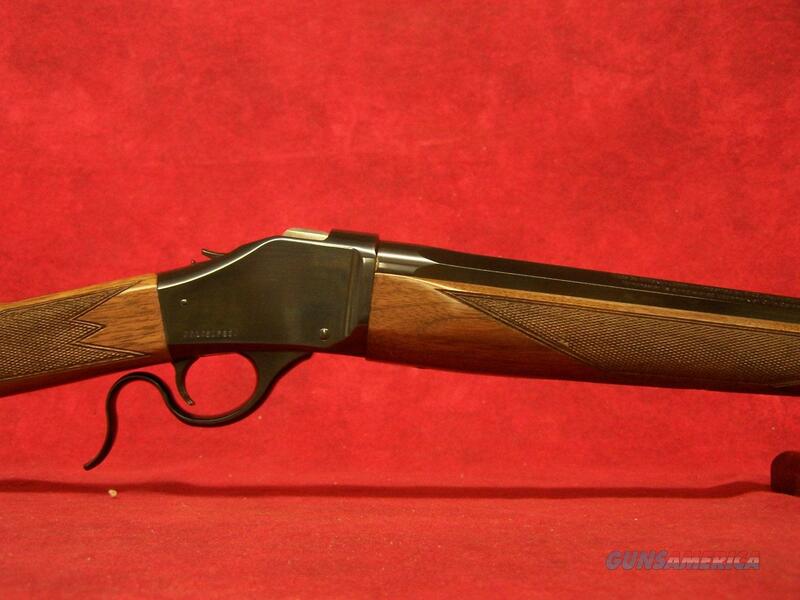 The design was purchased by Winchester and implemented into factory production in collaboration with Mr. Browning, under the nomenclature Model 1885. This venerable design still produces consistent accuracy in a remarkably simple, strong, and short action. Caliber: 6.5 Creedmoor Barrel Length: 28" Overall Length: 44" Length of Pull: 13 1/2" Drop at Comb: 5/8" Drop at Heel: 1 1/8" Weight: 8 lbs 8 oz Twist Rate: 8"